The Marine Corps requires that its members be in peak physical condition for the duration of their service. To that end, in addition to passing a physical fitness test upon entry, each Marine is required to pass the test every six months unless deployed in combat. The minimum requirements are difficult enough, but the Corps expects you to exceed the minimums and push for a perfect score to show your fitness and dedication. To do so, you must begin training as early as possible, and continue it throughout your service. Set your goals. 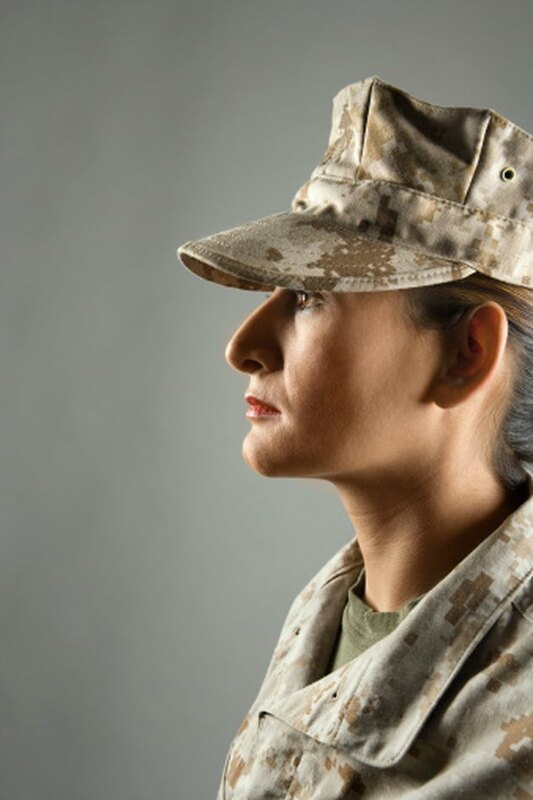 Visit the Marine Corps website to determine the times necessary to pass for your gender and age group. Run five days per week. One day should be a long, slow run to build up your endurance. Three days should involve speed work, in which you run sprint/walk intervals to gradually increase your speed. The other day should be a tempo run, in which you run three miles at the best pace you can sustain for the entire distance. For the test, you should run about a nine- to 11-minute mile for three miles, depending upon your age. Incorporate a full-body weight training program into your routine at least twice per week to increase your overall strength. Train opposing muscles in succession, and never work the same muscle group two days in a row. Use weights heavy enough that you cannot do more than six to eight reps. Strengthening your whole body will make the test that much easier for you. Do body weight exercises. Men must be able to do at least three pullups, and women must be able to hang with a flexed arm for 15 seconds. Practice your pullups, focusing on speed and quantity. Do pushups and dips to strengthen the muscles involved in the pullup as well. Train your core muscles. You must be able to do 40 to 50 crunches in two minutes, depending upon your age, but don't just practice crunches. Include reverse crunches, V-ups, oblique crunches and leg raises to ensure your core is solid enough to support your body through the rigors of Marine Corps training. Stretch before and after every training session. Marines are also judged by their agility and flexibility, and flexible muscles are less likely to get injured during training. Stretch every muscle group whether you worked it that day or not, but only until you feel a slight tension. If you feel pain, back off of the stretch. A perfect score of 300 on the Marine Corps Physical Fitness Test requires 20 pullups, 100 crunches in two minutes, and completion of a three-mile run in 18 minutes. Aim high. Consult your doctor before beginning this or any training program.